Home » Uncategorized » Book a relaxing weekend today! Book a relaxing weekend today! White Star River Retreat is now available to be rented for your next get away. • Cleaning fee of $80 dollars will be added. • A 50% deposit of your total stay is required to reserve the White Star River Retreat. • A credit card number will be held for damage purposes or additional cleaning fees. 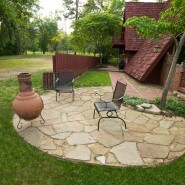 • White Star River Retreat is a smoke free and pet free environment.